Savannah, GA, calls visitors from near and far for special occasions. The area is a premier destination for bachelorette parties, enchanting weddings, business retreats, and so much more. At Ballastone, we make sure each guest has an experience that’s nothing short of the Ballastone Standard. This standard ensures that our guests have a private, luxurious experience that’s uninterrupted by hustle and bustle. For this reason, our inn is not a public venue and any additional services we provide are for Ballastone guests. An event at Ballastone Inn must be discussed with our concierge, and all events are continent upon occupancy and even size. Events held at our inn are reviewed by and held at the discretion our experienced innkeeper to assure that you and other guests have the true Ballastone experience. Our inn has crafted two intimate wedding packages to give our guests a Savannah, GA, event like no other. Promise forever with your special someone in our courtyard or inside the house in our antique-adorned parlor. 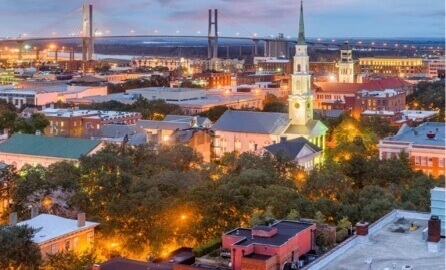 Check out our wide range of Savannah vacation packages if you’d like to take a trip to Savannah for a special occasion but aren’t interested in an event. Our inn has curated specially designed packages that take the guesswork out of planning a getaway. These range from a babymoon to a ladies getaway! 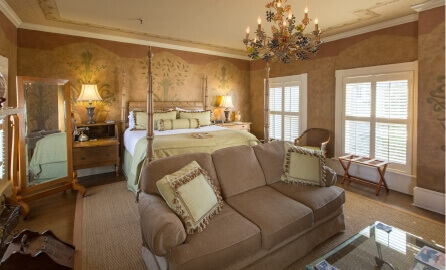 Our cherished bed and breakfast highlights privacy in all of our services. That’s why the capacity for our larger events is around 30 people. 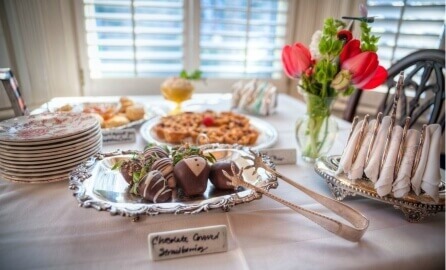 Additional services for guests who book several rooms at our inn include cocktail parties, tea parties, and luncheons in our parlor room, bar, and beautifully manicured courtyard. Contact us if you’re interested in an event at Ballastone. No matter what the occasion, be sure to request a copy of our complimentary Insider’s Guide to start planning your enchanting getaway to Savannah!